Are Real Madrid in a Crisis? Within the confines of the renowned Santiago Bernabeu, Real Madrid had built a gargantuan aura of invincibility around them as they exploded out of the blocks to proceed their season. At the tip of the iceberg was a stunning performance in the campaign's first instalment of El Clasico. 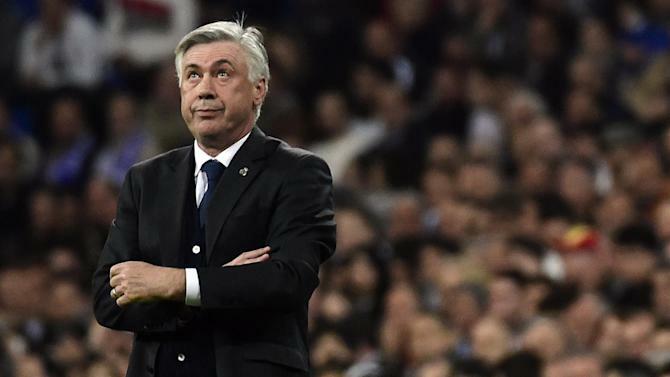 Ancelotti's men were tiptoeing themselves to permanence as an unstoppable force. Sunday night's La Liga game, however, strongly suggested otherwise. Los Blancos faltered in the most star-studded fixture in the game, with their lethal triumvirate underwhelming and weaknesses cropping up in the defence once more. Luis Suarez went on to score the winning goal at the Nou Camp, but a recurring hint of hesitation prevented Barça from adding a few more to their total and cementing humiliation upon the footballing super power. A lingering sense of resentment grew in prominence just as Madrid's hopes in the game faded following the Urugayan's strike—and that would translate outside the stadium too. According to multiple reports and video footage, Gareth Bale's car was attacked by exasperated supporters, indicating the prominent displeasure of the Welshman and the team in general. While the small minority of fans who did carry out such acts do not wholly represent the whole set of supporters, it does underline a hint of dissatisfaction and a looming of a crisis—at least relative to the high standards of Real. It added another low point for the most expensive player in World football, continuing with his bad patch of form leaving himself, teammates and fans frustrated. It's just one of the things going wrong at this difficult period. Cristiano Ronaldo may have secured another goal to his sizable season total, but a miss in which the Portugese star struck the inside of the crossbar when the goal was gaping is one to rue, especially considering how many times they were let off. Rumour has it that the pairing of Bale and Ronaldo isn't going too smoothly, either. There was the occasion just a few weeks ago in which a ball-hogging Bale was booed in numbers at the Bernabeu. While some Spanish papers may make it seem that way, it's not all at fault at the Brit either. Had Cristiano not been offside in the play that led to Bale slamming home a goal—only to be disallowed—then we would be looking at things much differently. Considering that they are the two most expensive players in the game, Bale and Ronaldo can't fuse a formidable partnership with ease. Their games are similar, yet so different—it's an on-off conundrum that may see no end until one parts ways with the club. Often overlooked by his superstar peers, Karim Benzema makes up the third component of the trio. In fact, he was one of the best players on the pitch wearing white on Sunday evening. A solid performance by the Frenchman went unrewarded however and unrecognised with the rest of his side performing well below-par. Setting up Ronaldo with a majestic back heel, Barça's defenders simply could not get a grip on the striker. He was twice stopped at the hands of two superb Claudio Bravo saves and also may have had one more assist when he looped it to Ronaldo at the far post, only to hit the crossbar and bounce back out. At the back, things have been looking out of sorts lately too. Despite looking solid on paper with Marcelo, Pepe, Ramos and Carjaval, it proved anything but over the course of the game. While they were defending against the best player in the World, Lionel Messi, they were overlapping recklessly and had there been more conviction running through the Blaugruna boots, the scoreline could have verged on catastrophe. Poll: Which titles will Real Madrid win this season? It wasn't just one game either. We saw against Schalke in the Champions League Round of 16 second leg that voids are springing around in any gap. The Germans would put on a stunning performance at the Bernabeu, only to fall short of transcendence. It was a boost for their season, and additionally a major wake-up call for Ancelotti's defencive men. Even though that was nearly a fortnight prior, the lesson still hadn't seemed to kick in. At this era we're in now of football, adaptation is key to a kingdom, invincibility is never permanent and change is the only way forward. It's a contrast from what we saw going down at the time after the first El Clasico. Barcelona were up against the ropes, Luis Enrique was under fire and Lionel Messi was unhappy. That's changed though, in the forever oscillating landscape of the game, could this just be a bump on the road? Real have suffered this too, not just last season but maybe even at the start of this one, before they went on a rampage. Two back-to-back losses dampened spirits around the Blancos' camp, but they propelled out of it. The timing of this saga is what makes it crucial. We're not in the Champions League group stages anymore, we're knee-deep into the knockout phase, so the margin for error is ever deteriorating—likewise with the run-in to the season. Four points now separate first-placed Barcelona with Real Madrid in second. With momentum where its needed for Barcelona, a lot must go in the way of Carlo Ancelotti to take the title, and changes must be made if they want to halt the irresistible force that is Atletico Madrid in the quarter-finals of the Champions League. Work must be done, and it must be done quickly. They must put aside their differences and fuse their star quality to provoke the return of their best which seems so far away from now. So, are Real Madrid on the verge of an apocalypse? Let's take a look—they're on the outside looking in as far as the title is concerned, and they have to change for the quarter-finals. Can it happen? Absolutely. We're witnessing one of the best teams assembled. It now comes down to what they do and how they do it. A few more results like this and the Gareth Bale could be getting more than just a kick to his car, he could be getting a kick out of his Real Madrid career. Or Ancelotti will bear the consequences. Real Madrid's season is on a knife-edge. They are tilting off-balance, and if they can't do anything about that in the short time that remains, it may be far worse than just a 'crisis'. TheSportMatrix • We Live For Sport: Are Real Madrid in a Crisis? As an El Clasico defeat adds to their misery, are Real Madrid on the verge of a crisis? Nisar Khan examines for TheSportMatrix.com.